Combining financial planning and estate planning into one, Brett Miller helps clients plan for their future. As an estate planning attorney and Certified Financial Planner (TM), Brett is in a unique position to counsel his clients on both estate planning and wealth management. Brett has worked with clients for over 22 years to help plan their financial goals and execute options so they can achieve financial success. This includes services such as financial and retirement planning, stock purchases and trades, retirement account rollovers, and life insurance. In addition to holding multiple FINRA and SEC licenses, Brett also holds the following designations: CFP®, CLU, ChFC, LUTCF. The CFP® certification identifies professionals who have met the high standards of competency and ethics as established and enforced by the CFP® Board. Brett received his undergraduate degree in Economics from the University of California at Santa Barbara and his J.D. from Whittier Law School, where he received CALI excellence awards in Estate & Gift Tax and Alternative Dispute Resolution. 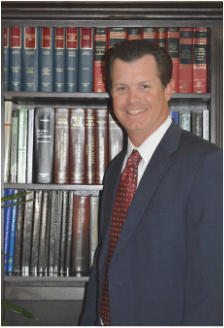 Brett is a member of the Orange County Bar Association and serves on the Trusts & Estates and Elder Law Committees. He is admitted to practice law in the State of California.